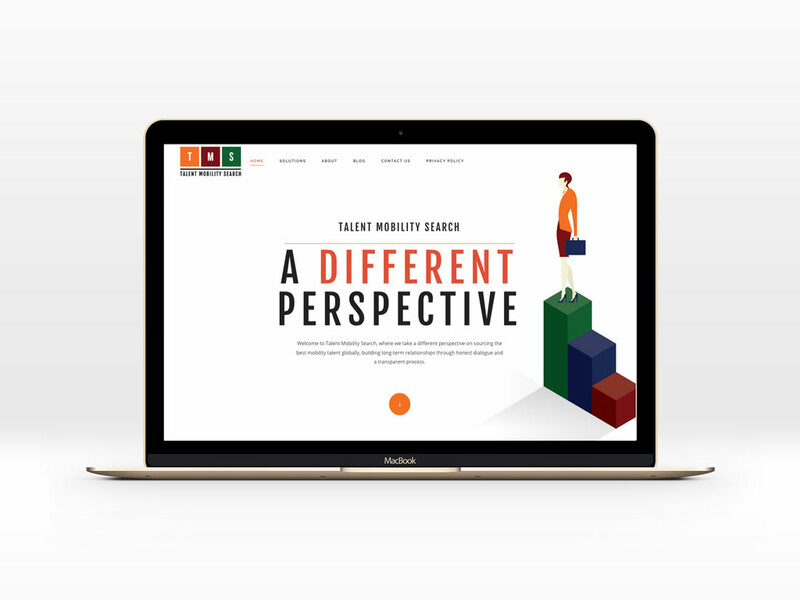 The guys at Talent Mobility Search wanted to bring their website up to date with a redesign. Their brand direction had changed over the years so they needed a new website that complemented their new style. They were after something more elegant but that also had an ‘edge’ to set them apart from their competition. Bluebury Creative was asked by the TMS partners to design something a little ‘different’ from the competition. We incorporated some very specific design features into this website, bringing some sketched graphic elements into the mix. We used inspiration from their global locations to design and incorporate sketched cityscapes from the locations of their headquarters and main offices. Talent Mobility Search take a different perspective on sourcing the best mobility talent globally, building long-term relationships through honest dialogue and a transparent process.